Recently, it was my sister's birthday. So, naturally, I asked her what kind of cake she wanted. I already had cake decorating ideas spinning in my head. To my surprise, she said that she didn't want any cake. Whaaat? I tried to convince her otherwise. No, no, of course you want a birthday cake. It didn't work. She wasn't going to change her mind. But, surely there's something that she must want, right??? 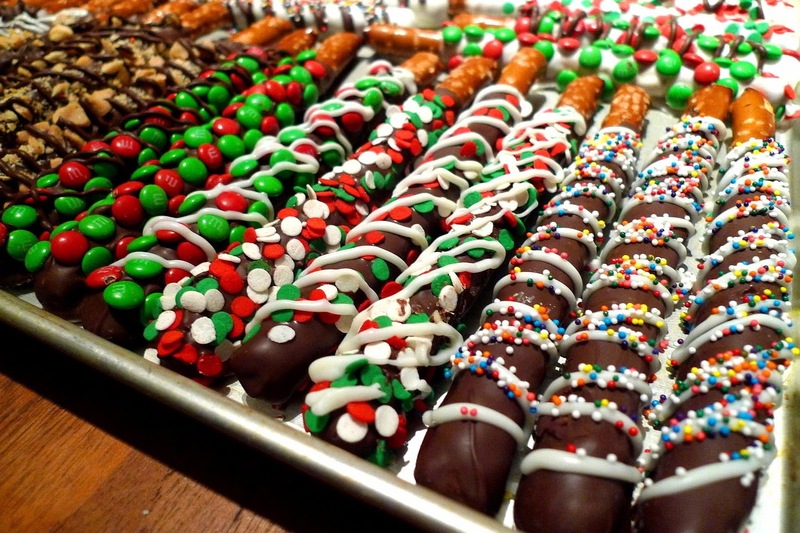 As it turns out, there was something that she had been dreaming of - chocolate dipped pretzel rods. Huh? Why that? 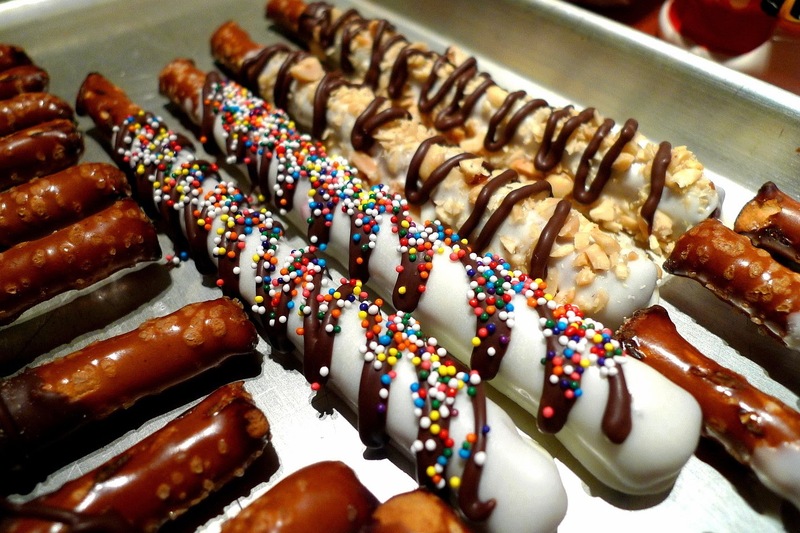 She said that she had always seen those lovely decorated pretzels in candy shops and wished that she could buy them, but they were so expensive. She would be over the moon if I could make her some pretzels for her very own. Well, that's no problem at all. I gathered up all the little decorating goodies I had been amassing - mini chocolate chips, mini M&Ms, sprinkles, peanuts, and peanut butter chips - and put them to good use. 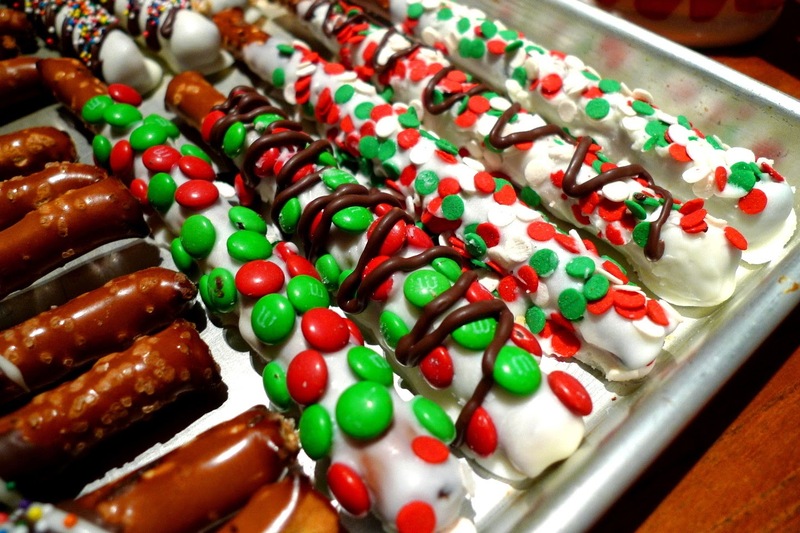 An hour later, there were 24 bright, beautiful pretzel rods all in a row, just for her. She was thrilled!!! 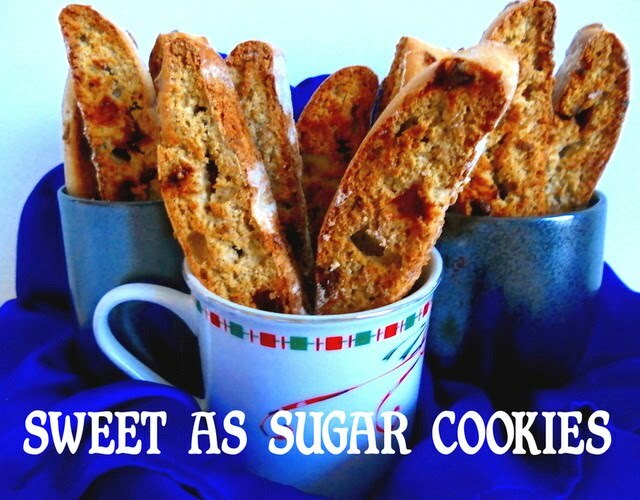 It was just the way she wanted them and she couldn't wait to eat them. Birthday wish fulfilled! Melt the candy coating in the microwave. 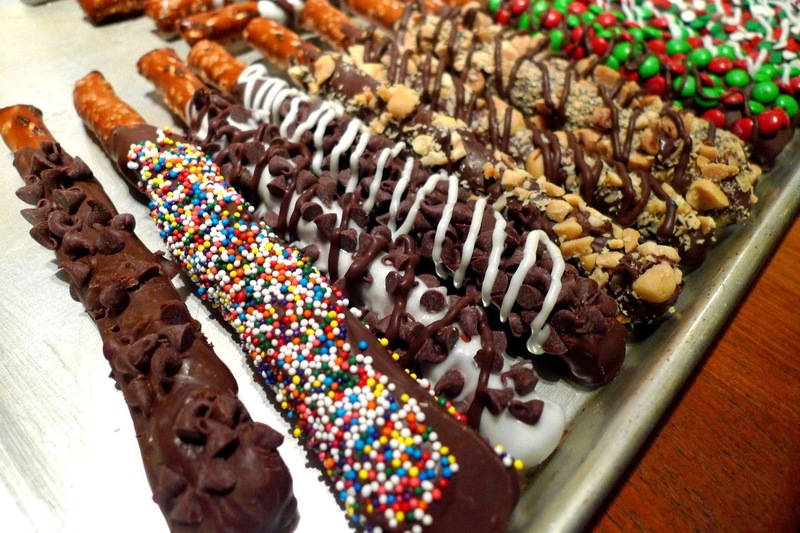 Dip each pretzel rod into the candy coating until covered as desired. Lay out on a sheet of parchment paper to set for about 1 minute. Cover with your desired decorations.